Having the best cup of tea relies on two things: the quality of tea leaves and the type of tea maker you have. Getting the best quality of tea leaves is not much of a hurdle. The challenge, however, is getting the right brewer. Even with the best quality of tea leaves, a useless tea maker will produce the very bad quality of tea. Some of the highest rated tea makers are very expensive for the average household, which makes most people shy away from owning them. However, there are budget models that cost less than $50, but work very well that a casual tea lover cannot taste the difference. What is the total capacity of the tea maker? Is it digitalized or manual? Is there a keep warm feature? Is it corded or cordless? Safety precautions I should look out for? Does it have a boil dry protection feature? People assume that when something is cheap, it offers subpar services. But, this is not always the case, especially for electronic tea kettles. So, which factors should you look out for when purchasing the best tea maker under 50 dollars? This depends on the size of your family or the number of tea enthusiasts you will be hosting from time to time. Having an electric kettle with a 1-liter capacity is not a bad choice, if you only consume 1 or two cups per seating. Most tea makers can only brew 1 to 2 liters of tea, which is not bad considering the price range. The water level markings on the side of the kettle will reveal to you the maximum capacity of the kettle. 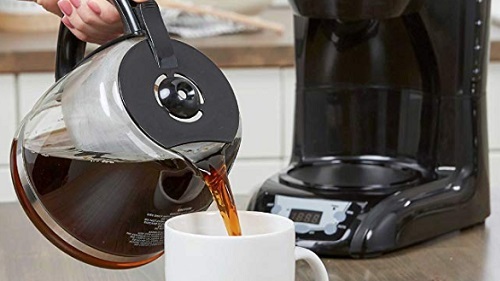 At such a cheap price, you may be forced to believe that such tea makers are just manual kettles. However, this is not always the case. There are tea makers below 50 dollars that are actually digitalized. Look out for a tea maker with a digitalized control system that allows you to operate it easily. Some people complain that their control systems often stop functioning, which leads them to force-shut the kettles by unplugging them from the power supply. Therefore, ensure that the system is reliable, before you buy it. If it does not have a keep warm feature, then do not buy it. You will be using a lot of energy for no reason. There should be a keep warm button on the control system that allows you to keep your tea warm at a specified temperature. The warming duration differs among different models. However, the best models can keep tea warm for up to 3 hours. 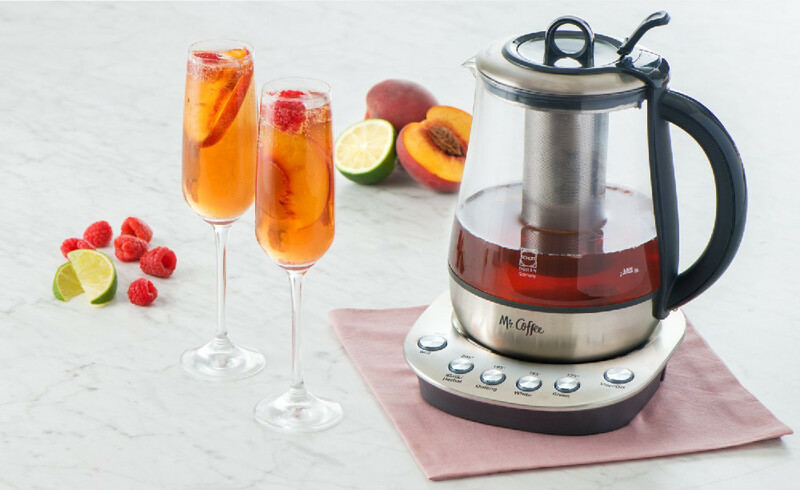 The best electronic tea makers within the 50 dollar range have automatic shutoff function. This is a very important feature for safety purposes. For instance, when the control system malfunctions and you are unable to shut it off, the kettle should turn itself off after some time. The automatic shutoff is usually around 15 minutes after the tea brewing process is over. At $50, you will find both corded and cordless tea makers. Always go for the latter. The problem with corded kettles is that they limit your movements. However, there are cords that are detachable from their kettles, these are also okay. Cordless kettles are more convenient. 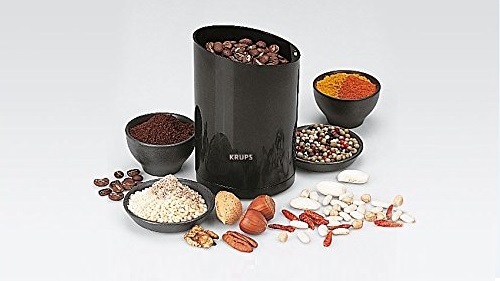 Some models have separate power bases that can be connected or separated from the carafe easily. Apart from the automatic shutoff feature, you should look out for the handle. Most of your contact with the kettle will be on the handle, and it therefore has to be very safe. It should be both comfortable and non-slip. Also, ensure that it does not get hot during brewing to avoid any slippages and accidents during movements. Look at the spout also. Select kettles with non-spill spouts to avoid spillages during serving. Tea makers have a simple design, which makes cleaning them a simple task. 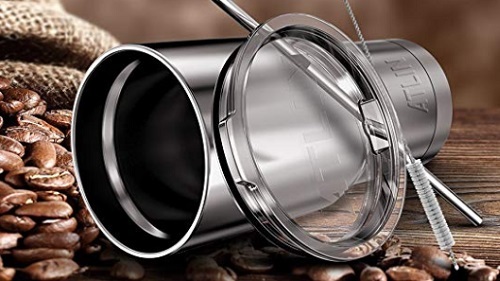 Very few parts require actual dipping in water, such as the removable tea infuser and removable spout filter. Other parts can only be wiped by a damp cloth to avoid damages. The ones with detachable power bases can also be cleaned with soap and water. However, the power bases should not come into contact with water. Look at the manufacturer’s requirements before cleaning the electronic kettle. Another important feature to consider. Imagine your kids playing in the kitchen and they accidentally turn on the tea maker without your knowledge. What do you think would happen? It may overheat and explode, right? Only if it lacks this feature. The boil dry protection feature allows the kettle to automatically shut off when it is turned on and there is no water in it. This is done to avoid electrical accidents.